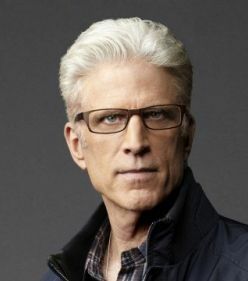 Two-time Emmy Award winner Ted Danson and acclaimed actress Kristen Bell have been cast in NBC's new Michael Schur comedy series Good Place. Bell plays Eleanor, a woman from New Jersey who comes to realize that she hasn't been a very good person. She decides to turn over a new leaf by learning what it actually means to be "good" or "bad," and then trying to make up for her past behavior. Danson plays Michael, who, through an unlikely set of circumstances, comes to be Eleanor's guide through her self-designed self-improvement course. Danson is widely known for his iconic role as bartender Sam Malone on the 28-time Emmy-winning NBC comedy Cheers. Over the course of the show's historic 11-season run, Danson was nominated for 11 Emmys, winning twice. He was also nominated for eight Golden Globes and won twice. Besides Cheers, Danson has made his mark on several other acclaimed comedies, including HBO's Curb Your Enthusiasm and Bored to Death. Most recently, he is coming off his role as a Minnesota state trooper in the critically applauded FX drama Fargo and also recently starred in CBS' CSI. 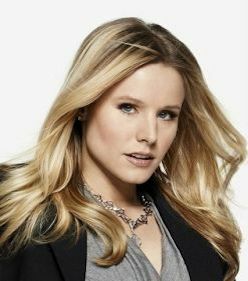 Bell has extensive television experience, most notably the lead role in the popular drama Veronica Mars, which ran from 2004-07. She has many other TV credits, including Deadwood, Heroes, Party Down, Gossip Girl, Parks and Recreation and House of Lies. On the film side, Bell recently starred as the voice of Anna in Disney's box office hit Frozen, which grossed more than $400 million at the domestic box office. NBC ordered 13 episodes of Schur's Good Place last August during the network's TCA day. SHOWTIME announced the pickup of a new one-hour comedy series I'm Dying Up Here. Set in L.A.'s celebrated, infamous stand-up comedy scene of the 1970s, during which the careers of many of the comedy superstars began, the series delves into the inspired and damaged psyches that are required to stand alone in front of an audience and make them laugh. 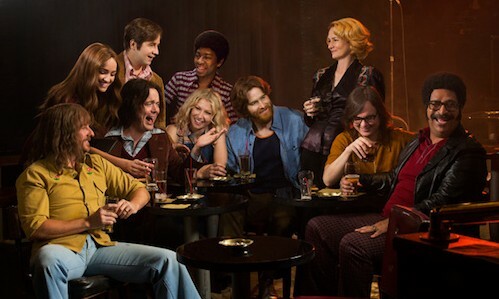 From executive producer Jim Carrey, I'm Dying Up Here stars Academy Award(R) winner Melissa Leo (The Fighter, Louie), Ari Graynor (For A Good Time Call), Clark Duke (Hot Tub Time Machine, The Office), Michael Angarano (The Knick), Andrew Santino (Mixology), RJ Cyler (Me and Earl and the Dying Girl), Erik Griffin (Workaholics) and Stephen Guarino (Happy Endings) as part of a large ensemble cast. The comedy follows up and coming comedians in LA in the 1970s, who are mentored by "Goldie" (Leo), a brassy comedy club owner who rules over her business with an iron fist and nurtures her comedians with tough love. Graynor, Santino, Cyler, Griffin and Guarino star as the main stand-ups at the club. Angarano and Duke play ballsy young comedians from Boston who move to L.A. with the hopes of making it big. Emmy(R) Award nominee Alfred Molina (Chocolat), Sebastian Stan (Captain America: The Winter Soldier, The Martian), Oscar nominee Robert Forster (Jackie Brown), Jon Daly (Kroll Show), Al Madrigal (About A Boy, The Daily Show), Emmy nominee Dylan Baker (The Good Wife), Brianne Howey (Horrible Bosses 2), Ginger Gonzaga (Togetherness) and Oscar nominee Cathy Moriarty (Raging Bull) guest star.